In 1995, I met Seth H. Moseley while working on a cable documentary about the Lindbergh Baby Kidnapping. I interviewed the legendary newspaperman about 1932, when he was a twenty-three year old cub reporter driving out to Hopewell, New Jersey right after the Lindbergh baby had been kidnapped. Because Seth had gone to Amherst College with Dwight Morrow, Anne Morrow-Lindbergh’s brother, his editor at The New York Journal thought Seth had an inside advantage over the 150 reporters on the scene. The editor was right and Seth obtained an exclusive interview with Charles A. Lindbergh hours after the world-famous aviator’s infant son was abducted. Seth Moseley had scooped the story of the twentieth century. But as I got to know and became friends with the intrepid former Associated Press reporter, I discovered Lindbergh was by no means Seth’s last exclusive. In 1934, Seth covered the S.S. Morro Castle ocean liner fire. The disaster that resulted in dead bodies washing up on the New Jersey shore would make headlines around the world. Then there was the Hindenburg disaster, this time in Lakehurst, New Jersey in 1937. Once again, Seth was on the scene and described the horrific carnage created by the hydrogen dirigible exploding and being totally consumed in just 33 seconds. The image of people jumping to their deaths and being burned alive, 36 victims in all, left its mark on the 28-year old reporter. But it was an entirely different and much more light-hearted exclusive that same year which would stick in Seth’s memory for the rest of his life. “In those days, when a celebrity came in from Europe, half a dozen or sometimes a dozen newspapermen go down and meet these celebrities coming in from Europe. This means getting up early in the morning and going down to lower bay of Manhattan and meeting these ships coming up the narrows to interview celebrities. Garbo was on one of these ships. This was in 1937 and she’d become famous in the movies and had left Hollywood to go back to Sweden for vacation. She was purported to be in love with Leopold Stokowski, the conductor. We were (sent) down to the ship to find out. Garbo came out and fifteen of us reporters and photographers held a mass interview. She was distinctly uncomfortable. Garbo was a very quiet, shy human being. She had made a fortune out of being shy and quiet and alone and she posed for pictures and they pursued her on the romance. I didn’t mention it. I don’t like mass interviews. I don’t think you stand a chance. After everybody else had left, I stayed on the ship. I went to find her hoping I could get an interview. I went to her state room. I went to the Captain of the ship. I went everywhere for two-hours, and I couldn’t find Garbo. Finally, I had to go to the men’s room and that’s where I found her. She was in the men’s room hiding. I didn’t show any alarm, I just said that I’d love to see her for a couple minutes and could we take a walk on the deck. She said certainly. Seth had a special twinkle in his eye every time he told me the story of his and Garbo’s chance meeting, all because he wouldn’t give up on getting an exclusive. He said he even received a thank you note from the charming movie star, hoping that they would meet again someday. But they never did. Greta Garbo, movie goddess and Seth Moseley’s favorite interview, passed away on Easter Sunday, April 15, 1990 in New York City. She was 85. Seth H. Moseley died Saturday, August 11, 2000 in Torrington, Connecticut. He was 92. Their fateful meeting in the men’s room aboard an ocean liner would forever set the record straight. 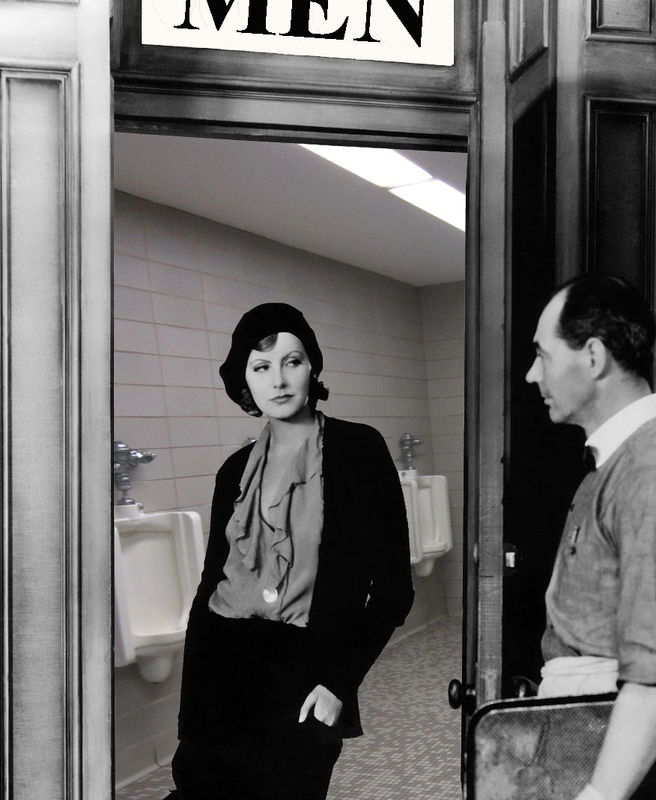 Garbo never wanted to be alone, only to be left alone. Never to be forgotten.